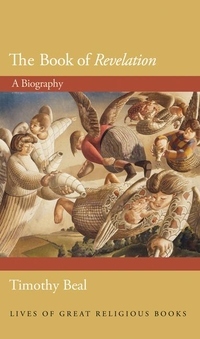 Taking readers from the book's composition amid the Christian persecutions of first-century Rome to its enduring influence today in popular culture, media, and visual art, Beal explores the often wildly contradictory lives of this sometimes horrifying, sometimes inspiring biblical vision. He shows how such figures as Augustine and Hildegard of Bingen made Revelation central to their own mystical worldviews, and how, thanks to the vivid works of art it inspired, the book remained popular even as it was denounced by later church leaders such as Martin Luther. Attributed to a mysterious prophet identified only as John, Revelation speaks with a voice unlike any other in the Bible. Beal demonstrates how the book is a multimedia constellation of stories and images that mutate and evolve as they take hold in new contexts, and how Revelation is reinvented in the hearts and minds of each new generation.